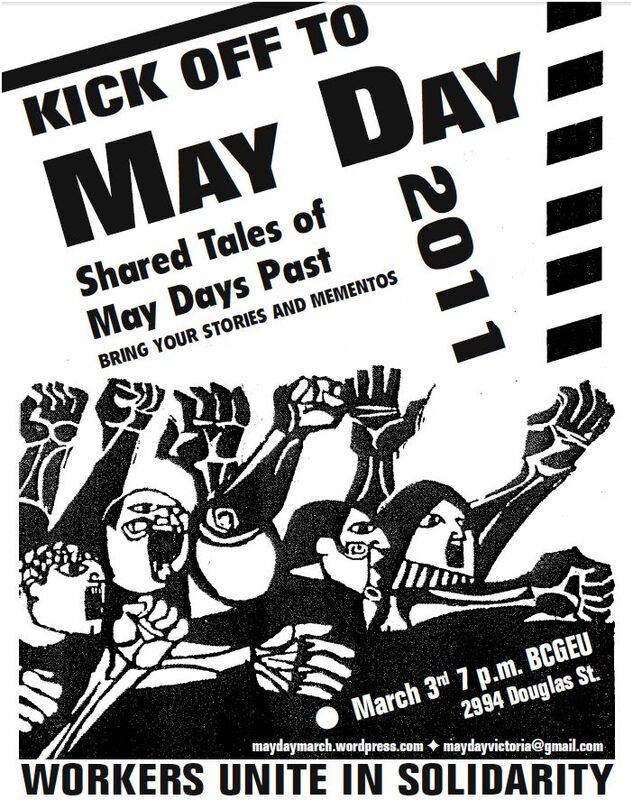 May Day 2012 is coming upon us. Since last year we have seen the development of the Occupy Movement world wide. 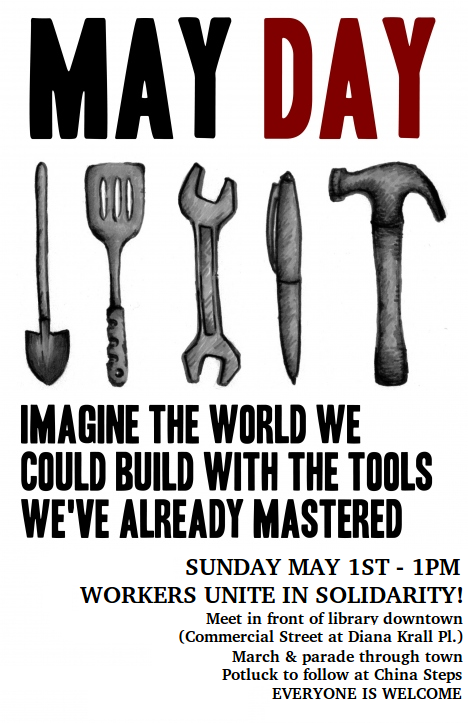 Many Occupy groups are focusing on actions during May Day. 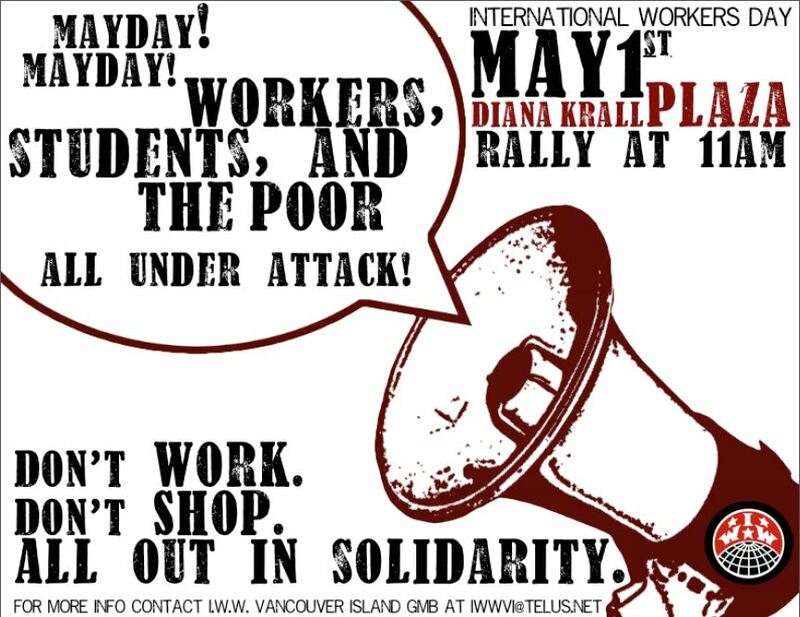 Let’s all get together and have an even bigger May Day March in Nanaimo and Victoria! Just like to thank everyone who was involved in restoring the May Day March in both Victoria and Nanaimo this year. Looking forward to building next years march! 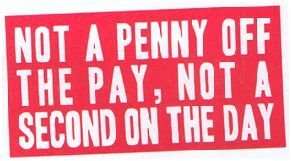 Anyone interested in maintaining the working class tradition of May Day start checking this blog about January of 2012. 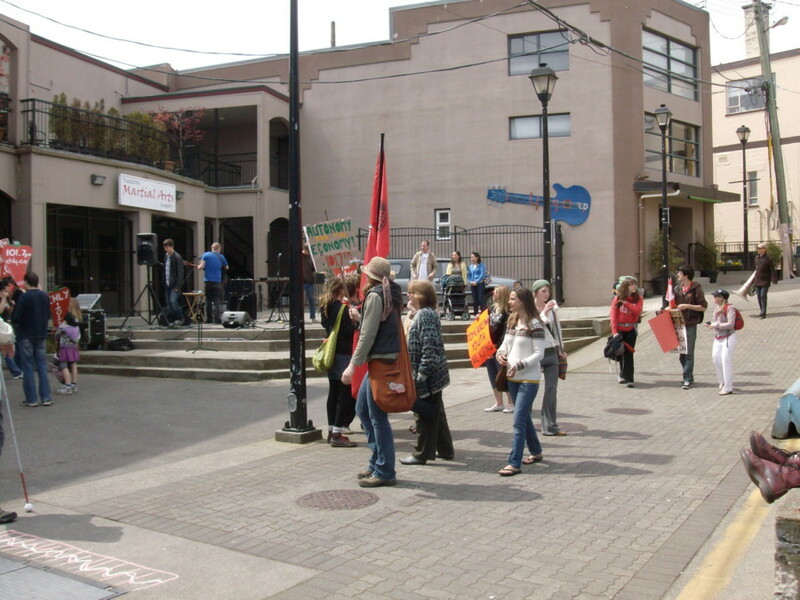 The Nanaimo May Day March, was organized by CHLY Community Radio and the Van Isle IWW Branch. About 40 people took part in the march and 80 to 90 were at the rally at any one time. Music was provided by among others, a marching band, Sean Phillips and Puzzleroot. FW Larry spoke on the origins and significance of May Day and Gilberto about May Day in El Salvador. Everyone thought it was a great success, considering it was our first march in over 50 years. A big thanks to everyone who took part in organizing the event. May Day Victoria -For the first time in many years Victorians marched on May Day. About 60 or so marched with over 100 at the rally. Prior to Marching the crowd was addressed by the likes of Fredrick Douglas,Joseph Ettor, Elizabeth Gurley Flynn,Big Bill Haywood, Judi Bari and Michael Moore. Accompanied by drumming and chanting, the May Day March proceeded through the heart of the Victoria tourist district and onto the hall for refreshments, music and to be joined by the May Day For Wild Salmon Walk and Rally. Sunday May 1. Meet at the Library at Diana Krall Square 12:30 – 1:00 PM, we will then march around downtown, arriving at the China Steps by 2:00 or so. There will be chili and a potluck as well as speakers & music. Since 1886 May 1st has been the true workers’ day around the world, at time when workers and their organizations remember the sacrifices the working class has made to gain what it has and to renew the call for struggle to rebuild the movement. Less a celebration of the work we must do to survive May Day is more about refocusing our attention upon the true class adversary. We have gained much in the 125 years since the general strike for an 8-hour day and its roots in Chicago. But those gains will be taken away by the financiers and parliamentarians if the working class doesn’t step up to the challenge. Worldwide the tradition is for the workers to march on May Day. This year a new committee has been formed to plan a march in Victoria which will commence at Bastion Square at 1PM on May 1st. The committee is building support by a number of planned outreach and public education events. The first is our kickoff event on March 3rd. On hand to share stories will be Bill Doherty, Gudrun Doherty, Kevin Neish, Freda Knott, Larry Tickner, Dave Rothkop, Alison Acker and D.J. Alperovitz. Our moderator for the evening will be Saloumeh Pourmalek. The audience will have an opportunity to ask questions of our elders and to share their stories as well. We’re inviting interested individuals to bring their mementos, too; banners, photos, buttons, books, recordings. This event is open to the public and admission is free of charge. 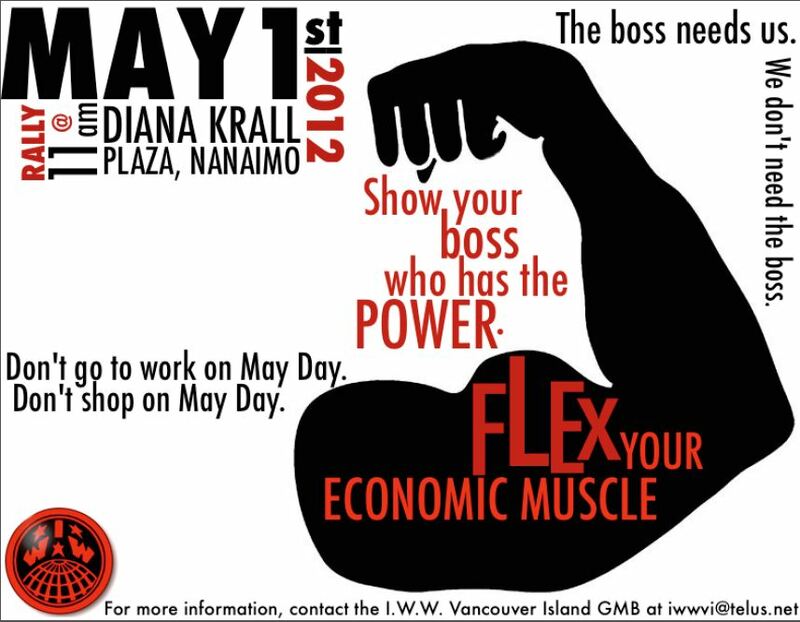 Supported by the Victoria Labour Council and the Vancouver Island Branch of the IWW. the increasing exploitation of immigrant workers and their families.